Our strength stems from our focus on the one thing that’s been lost in the healthcare industry: we focus on YOU, on your needs. While other traditional medical offices are driven by large pharmaceutical companies and treat their patients based on insurance reimbursement, we have the freedom to focus on you and tailor each treatment plan to your unique needs. Apollo Chiropractic provides affordable, individualized chiropractic therapy with the goal of helping our patients return to and maintain healthy, active lifestyles, as well as enhance their athletic and sports activities through manual adjustments of the spine and other manual therapies. We want you on the way to a healthier, pain-free life. Strategies to continue improving and maintaining health through established wellness techniques involving diet, exercise, and stress reduction. Chiropractic therapies are time tested for their effectiveness and have high patient satisfaction rates. Most patients in pain do not want medication and do want to return to active, healthy lifestyles. Chiropractic therapies are meant to remove the physical and neurological stresses which cause pain and distress, and prevent the body from being optimally healthy. 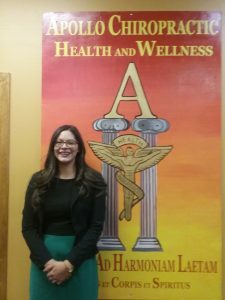 The therapies used at Apollo Chiropractic assist the body’s natural healing processes, so patients don’t become dependent on medications, and instead allow their bodies to heal and regulate themselves as they were designed to do. Dahl came to New Mexico by way of his U.S. Air Force career, when he retired from active duty in 2010 after serving proudly for 20 years. 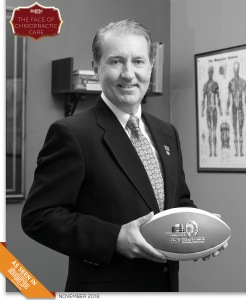 He studied Chiropractic Medicine and earned his Doctorate degree from University of Western States in Portland, Oregon. While there, he also earned his Master of Science degree in Exercise and Sports Science, so he could focus his treatment techniques on those patients with active lifestyles and those who participate in athletics and sports. Dr. Dahl also volunteers with local non-profits who serve the underprivileged and children at risk of health and injury. He has also volunteered as a speaker with the Foundation for Wellness Professionals, where he advocates health and wellness to local companies and his community. 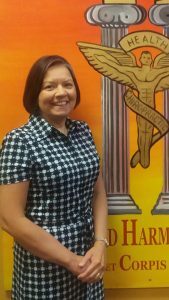 Mrs. Dahl is the wife of Dr. Dahl, and has many years’ experience in customer service and management of personnel and resources, all while nurturing her family as dutiful wife and loving mother while Dr. Dahl served in the U.S. Air Force. Living in several places around the United States and organizing the many moves has made her an expert in logistics and keeping track of details. 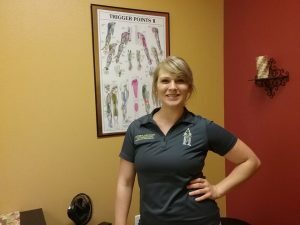 Mrs. Dahl keeps the operations running smoothly at Apollo Chiropractic, and ensures the patient experience outside the treatment area is as pleasing and comfortable as possible, always attentive to patients’ needs. Mrs. Dahl volunteers at local nonprofits serving the underprivileged and children at risk of health and injury. Mrs. Emma Dahl and Dr. Eric Dahl are immensely proud of their two adult children and grandchild. Victoria Barazza recently graduated from the Universal Therapeutic Massage Institute. Since joining our team here Victoria has become quite and asset for our patients. She is not only great at what she does, but she is also a sweetheart that our patients have come to really love. She specialized in deep tissue massage, massage cupping and sport injury massage. Victoria enjoys working on The Duke City Gladiator players throughout their season, both in our office and in the locker room before games. She helps the boys release tension and stiffness in their muscles after long workouts getting ready for games. Along with being a talented massage therapist Victoria is also the mother of two young boys and an avid runner. She finds joy in helping people relieve their pain so they can live a more comfortable lifestyle. Call us today to set up your appointment with Victoria! Natalie graduated from UNM with a Bachelors of Arts Degree in Journalism, and Mass Communication. She might be the one you talk to when you call us at the office and she will be the face you see when you come in for your appointment. Natalie enjoys working here at Apollo because she gets to see how chiropractic care and medical massage can change a persons life. She enjoys seeing people leave the office in better shape than when they arrived in pain. Natalie helps run the social media and goes to networking events to help us grow as a business. If you have any question about our clinic give Natalie a call at the office! She is always happy to help our patients however she can.